If you aren’t already geared and well-oriented to a well-balanced and healthy diet, you probably don’t even think about nuts. Even the people I know who claim to love nuts don’t eat them regularly. And that’s pretty unfortunate, especially considering the huge range of health benefits they contain. 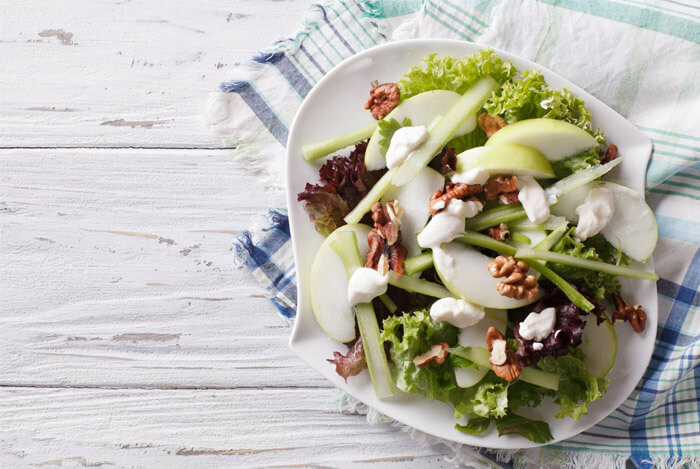 Yes, they’re high in calories, but if you can fit them into your meal plan, they’re a great way to add more nutrients to your diet. 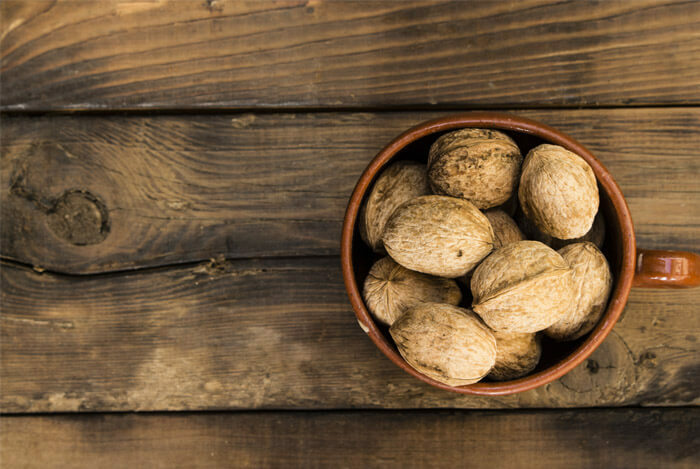 If you read on, you’ll soon see why you might want to include walnuts in your diet more regularly. Speaking of antioxidants, walnuts provide a significant amount of vitamin E – 1 oz (14 halves) contains 0.20 mg. Vitamin E provides us with stronger immunity, healthy skin, and sharper eyes. 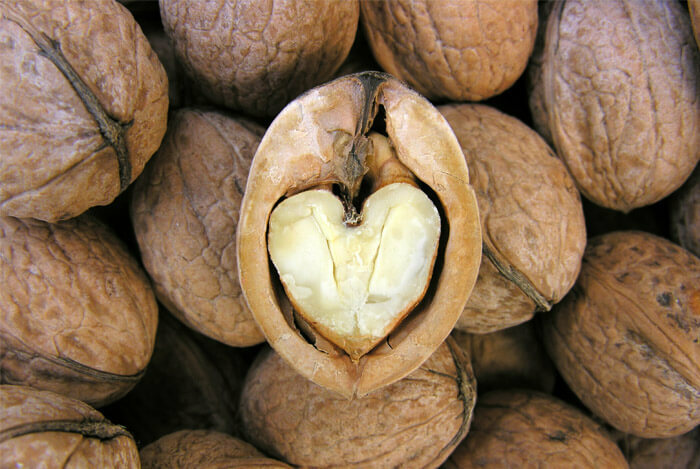 Of all the nuts, walnuts are right at the top when it comes to benefits for your heart. Some people might find this a bit odd if they’re just looking at the nutrition profile of walnuts, and nuts in general, on paper. 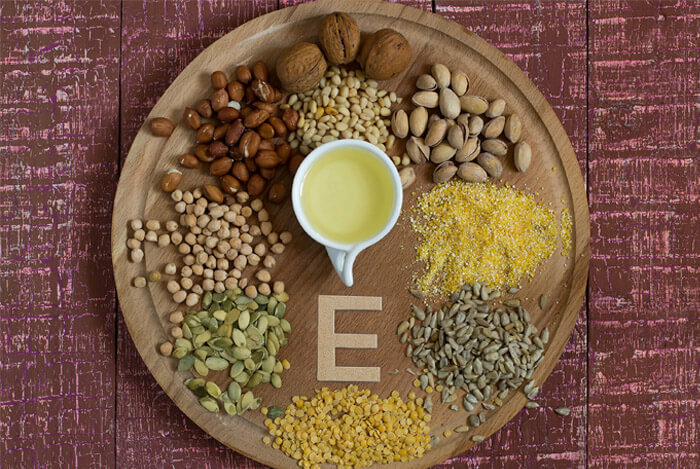 After all, nuts contain the highest total fat content of all natural plant foods after vegetable oils. But those fats are actually pretty great for you. 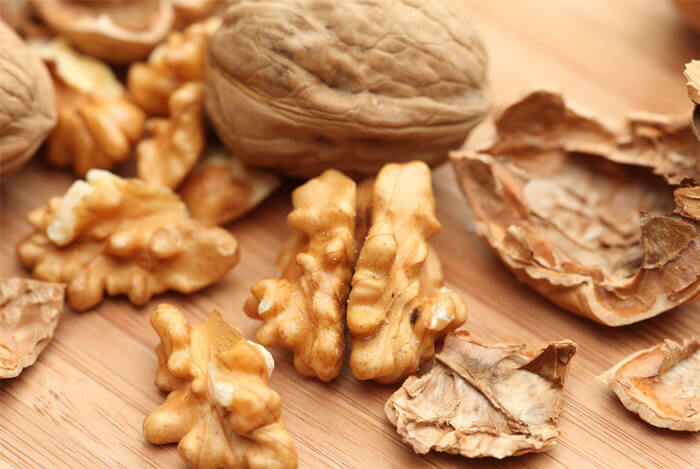 Like most vegetables and plant products, walnuts have a very low sodium content with a significant amount of calcium, magnesium, and potassium, which together are associated with protection against hypertension (high blood pressure), insulin resistance, and overall cardiovascular risk. I’ve already mentioned the serious benefit the nutrients in walnuts have for fighting against chronic oxidative stress and chronic inflammation. They’re highly relevant here; these are the two risks that, when combined, pose the most serious threat for the development of different forms of cancer. A recent study has shown that only 5.5% of all adults aged 19 to 50 consume tree nuts of any kind. The benefits of nuts are tremendous, yet people tend to forget about or entirely avoid them. It’s time for walnuts to get an image makeover. Next time you’re at the grocery store, pick some up and enjoy the health benefits. What’s your take on walnuts? Have anything else you’d like to share? Let me know in the comments below!